Another requirement is that you have never been convicted of or placed on deferred adjudication community supervision for another offense unless is was a Class C misdemeanor, punishable by fine only. 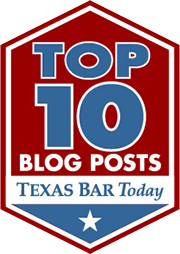 What types of DWI’s are restricted from non-disclosure? If you had an accident that involved another person or you had a passenger in your vehicle and had an accident, then the DWI conviction does not qualify for non-disclosure. How do I request a non-disclosure? You must file a petition to the court that includes evidence that the above requirements are satisfied. Once that is done, the court will issue an order of non-disclosure of the conviction that prohibits criminal justice agencies from disclosing the criminal information of the offense to the public. If you successfully completed your community supervision and had an interlock device on your vehicle for 6 months or more, then you can file 2 years after completing your community supervision. If you did not have an interlock device on your vehicle, then the wait time is 5 years from when you successfully completed your community supervision. What does a non-disclosure do? If granted, the court will order courts and police departments from disclosing the records of the DWI to the public. This is very beneficial for job applications, in that you are not legally obligated to disclose that conviction or information related to the offense to your prospective employer. Keep in mind though that this is not an expungement where the conviction is completely erased from your record. With a non-disclosure the conviction is still there, it just cannot be seen by the public and you have no legal obligation to disclose it. I’m not sure if I qualify? That’s no problem! Just give our office a call and we can set up a consultation with one of our awesome criminal attorney’s who would be glad to see if your case qualifies.